Drama and Performance students at London South Bank University (LSBU) will take to the stage of the Edric Theatre next week to present a showcase of their work. The BA Drama and Performance Final Degree Show will feature the work of over 40 students who will reveal a series of varied and innovative performances, either solo or in a group, across a range of theatrical media, including text adaptation, physical theatre, experimental live art and multimedia performance. A different programme of performances will be presented each night and will reflect the group's diverse and inventive approach to performance culture. All work to be performed is original and has never been shown before. The annual BA Drama and Performance showcase provides a valuable opportunity for students to articulate their developing artistic practice in the practical setting of a working contemporary performance space. The Edric Theatre is LSBU's dedicated space for theatre and performance, situated at the heart of the university's Southwark Campus. Throughout the show, the theatre will be entirely managed by Drama & Performance students, allowing each student to experience a range of roles required in contemporary theatre production. The BA Drama and Performance Final Degree Show serves as a springboard into industry, helping students to transition from critical study to professional performance practice. It also encourages students to develop as independent theatre artists by inviting them to produce a large-scale independent performance project focused on their individual strengths and interests. Student Charli Sumner-Bedford comments: "Building up to a big show is a really exciting and nerve-wracking time for any drama and performance student but there's a really supportive atmosphere around the LSBU final degree show, where I'll be performing alongside my peers in a dedicated space on-campus. It's been great seeing how everybody's ideas have developed over the course, and I look forward to sharing the stage with such diverse performers." BA Drama and Performance Course Director Gill Foster said: "It's been a great privilege to work with this talented group of artists and to see these individuals grow as creative practitioners over the three-year BA Drama and Performance course. LSBU's enviable position at the beating heart of London's cultural quarter means that students are exposed to the best of contemporary theatre throughout their degree. I am now looking forward to following the journey of these exciting individuals as they embark on their professional careers." 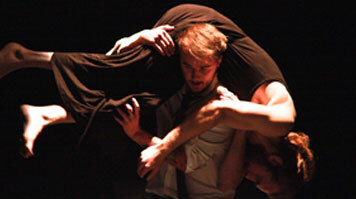 The BA Drama and Performance Final Degree Show runs from 11-14th May at the Edric Theatre, 103 Borough Road, SE1 0AA. Each performance commences at 5pm. Tickets: £3 / £2 concessions, available in advance from the Edric Theatre box office.